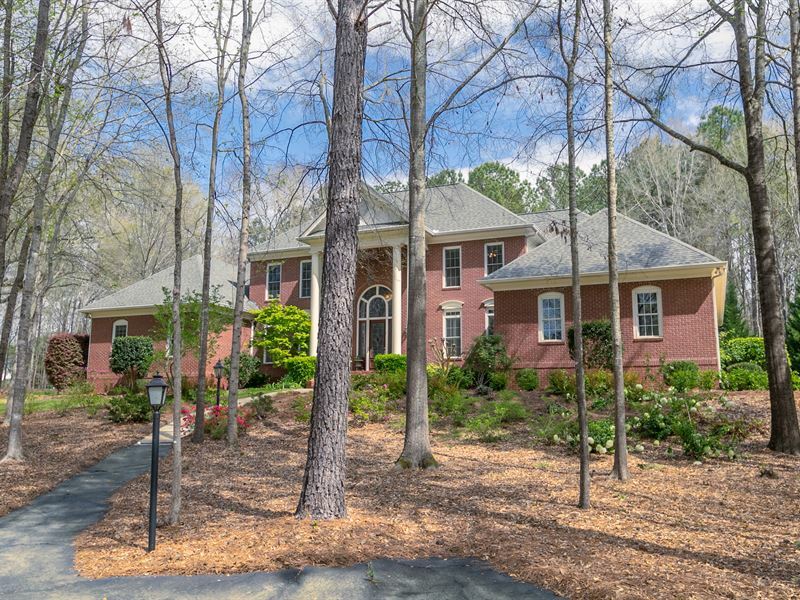 One of a kind 5Br/5.5Ba estate nestled in the woods on 5 acres. This custom home offers total privacy while also having the convenience of being close to downtown in a desirable area. Attention to detail with stunning entrance, stacked stoned wood fireplace, & beamed/coffered ceilings. Gourmet kitchen w/unique cherry finished cabinets,granite countertops,walk in pantry,SS appliances,& double ovens & sinks. Separate dining, master & hardwoods on main with tile in bathrooms. Abundant storage & room for entertainment in basement. Large screened in porch along with low maintenance deck overlooking fenced in gunite pool & beautiful gardens. If you love to cook, entertain, or just have plenty of space, this is the home for you. Close to schools, shopping & dining.